A Flamingo Surprise consists of a dedicated team of passionate professionals who will design a unique theme for your special occasion. A Flamingo Surprise consists of an intimate team of professionals who have a true passion for event styling, utilizing a range of exclusive centrepieces which are individually designed, created and styled to ensure your event will reach its full potential. Be it a glamorous wedding, cocktail party or a corporate event to impress, our staff, equipped with extensive experience in the event decorating industry, will see that every last detail is effectively managed with you and your venue to ensure the seamless delivery of an event that exudes class and style. 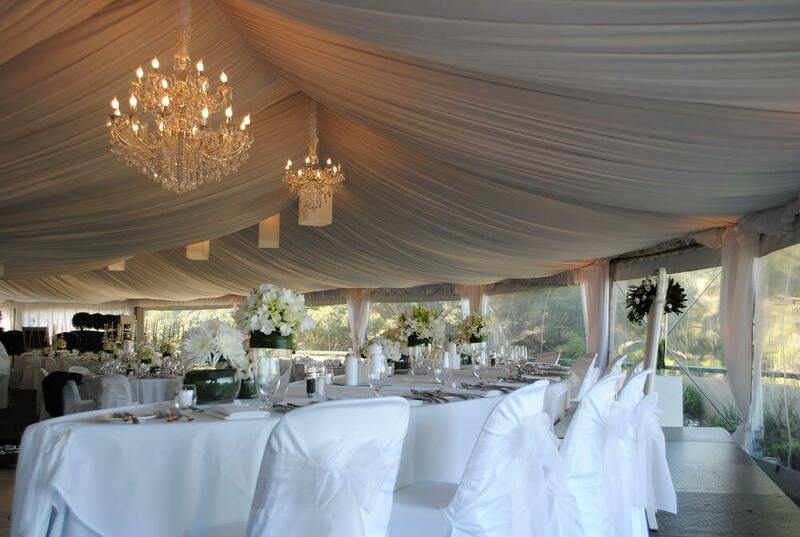 We truly understand how important a special event such as a bride’s wedding can be. As a result, our emphasis is on providing our customers with a second to none quality and service. We abide by a code of conduct which provides a framework to ensure that our services are conducted with professionalism, integrity, honesty and trust, to give our clients the assurance and peace of mind required when choosing a quality service. We have your wedding and event needs covered. Fill in your details below to receive updates and special offers. Just wanted to say a big THANK YOU for our reception decor!! Everything looked amazing, better than I ever imagined. The decorations for our wedding was beautiful. and Carolyn whom we liaised with was warm, friendly and organised. She gave good suggestions and helped our wedding to proceed without a hitch. Wow! This was our first reaction when seeing our reception set up for the first time. Carl and I just wanted to say a HUGE thank you for making the already amazing Matilda Bay look even more stunning! The amount of compliments we received about the attention to detail was incredible. helpful and approachable, we can’t praise you enough! We are so excited to see the room all over again when we receive our video and photographs. Honestly thank you so much for making our reception look absolutely beautiful. It was such a happy experience walking into that room, absolutely stunning and romantic and luxurious. Everyone loved the decor. Thank you also for your patience, guidance and assistance over the last few months. Thank you so much for all the beautiful effort you put into our wedding. I just wanted to take the time to thank you for the wonderful job, you and your team, did on the styling of my wedding. It was honestly everything I had imagined and more. We had so many wonderful comments and gasps at the sheer beauty of your work. The styling of the reception was one of the most important elements of the day, to me – and everything I had envisioned really came to life the moment we walked in. So again, thank you so much for all your help, guidance and of course, supreme execution of styling. You were a pleasure to work with and I cannot wait to highly recommend A Flamingo Surprise to anybody I know getting married. Having zero idea what we really needed or wanted, Carolyn took it in her stride and provided advice and suggestions on decorations for our reception at a private appointment. We have just received our wedding photos and as promised I have attached a few!! I wanted to thank you and your team for absolutely everything, you were amazing from start to finish! 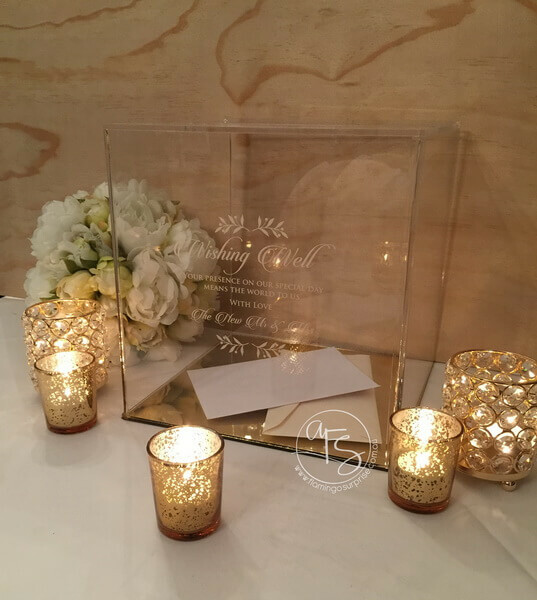 Our reception was styled and designed with beautiful precision, you carefully listened to each request I had and provided guidance and assistance and created the most magical room for the celebration of our wedding. I knew from the first meeting we had that I was safe in your hands! Ivan and I would like to thank you for the decorations at the wedding. I also want to thank you for giving me advice on the centrepieces. The venue was beautiful and everyone loved it. We were blown away when we walked into the Crown ballroom and saw it decorated for the first time. It definitely exceeded all our expectations. We really felt like celebrities for the day!! You did an incredible job and everyone was raving on how amazing the venue and styling looked and I couldn’t agree more! So thank-you to you and your team for putting it all together. I will send through photos as soon as I get them. 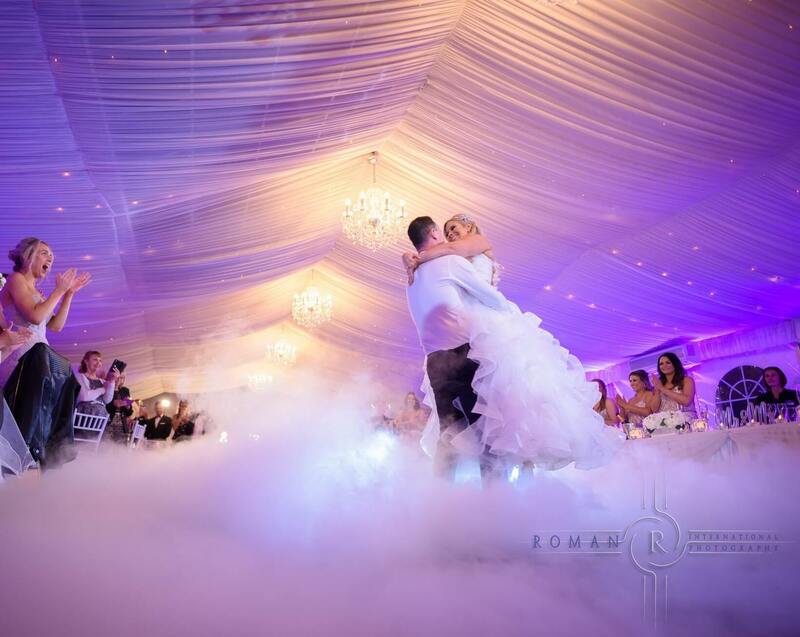 Carolyn was able to bring every visual dream to life. The room was set up so beautifully, exactly as i had imagined and she was always such a pleasure to deal with! Thankyou the night was spectacular!! I didn’t get a chance to take many pics on my phone at all but I will send through a few once I get the professional ones back…. Thanks so much! I absolutely loved it and the day was just so perfect! We arrived at our honeymoon yesterday so we are certainly relaxing now! Will definitely send through the professional ones for you once I receive them! In the meantime, here is one of matt and I just after we had said I do!! OMG I can’t believe I’m looking at these photos and they are of MY WEDDING! I am just in LOVE with everything you put together for us Carolyn! You completely exceeded our expectations and we can’t thank you enough! Everything looked so amazing and we had soooo many comments throughout the day and night on how amazing everything was! We feel so lucky to have had you bring our dream vision to life! Just wanted to share this photo from our wedding day to show off the AMAZING work Carolyn and her team put together for us! We honestly couldn’t fault anything, Carolyn was so good at communicating with us constantly and really listened to what we wanted. I feel like Carolyn really understood the vision we wanted and pictured and she literally brought it to life! Couldn’t speak higher of A Flamingo Surprise and we feel so lucky that they were there to create our beautiful and romantic day for us! I just want to thank you for your amazing job yesterday! We were blown away when we walked in. I’ll send photos when I get them! I hope you are well. I’ve received my professional photos from my wedding and I thought I would share some with you as the reception looked incredible! Thank you so much for your hard work in creating the perfect setting for our special day!! On behalf of Tyson and myself we just wanted to thank you so very much for the amazing job you did turning our reception into the fairytale wedding we have been dreaming of. Everything was absolutely perfect and I couldn’t believe my eyes when I first walked into the room. Hi Carolyn, We just wanted to thank you again for being extremely helpful and patient with us. You went above and beyond to provide us with an amazing service which we deeply appreciate. Here are some photos from the big day. Many thanks and have a wonderful year. First of all I would love to express a MASSIVE THANK YOU! Thank you for not only making my wedding reception dreams come true but for putting up with my crazy Italian family! Your calm nature, creative ideas, and patience was extremely helpful. I got so many compliments, Even my photographer said he hadn’t seen a reception set up like that before! Everything you promised was delivered, every conversation was easy, which is what every bride needs. We changed our minds more then 3 times on our centerpieces and this was never an issue. We would highly, highly recommend you to all the brides of WA! Thank you for everything once again, I would do it all over again with you. We are very thankful for the wonderful decorations. I loved every thing about the decorations. Really appreciate working with you and you did a very good job. Vlad and I were blown away. Carolyn we can not thank you enough. Thank you soooo much for making my dream wedding come true!! I would like to take this opportunity to thank you once again for a fantastic job. The ballroom looked Amazing on Saturday, we had many positive remarks from our guests. Once again ,thank you. We will have no hesitation in recommending you. Hi Carolyn, I just wanted to tell you thank you so much for the amazing job you have did on my wedding day. 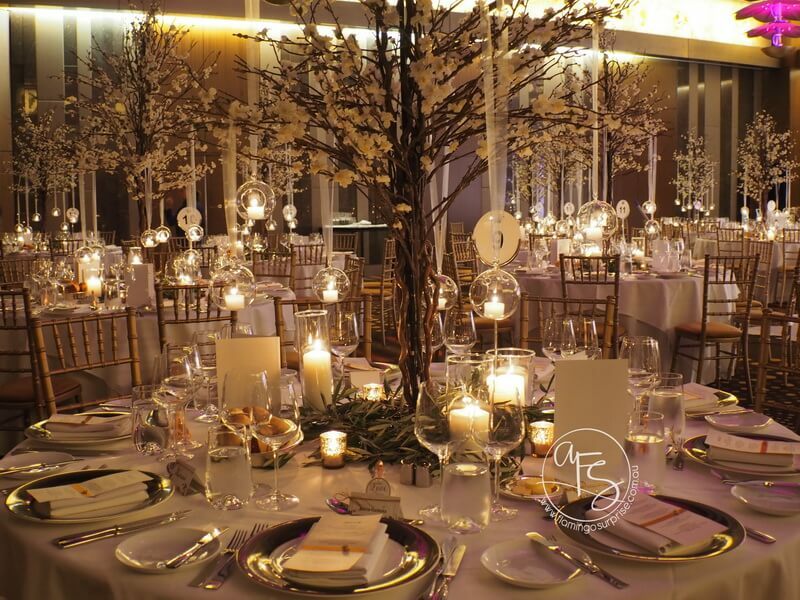 The venue looked absolutely elegant…I loved the disposition on the two flower vases. Everything was perfect and you created just the right atmosphere. I put a review on Easyweddings I hope will be helpfull. Nathan and I would just like to say a very big thank you to you for playing a part in our special day. Everything was beautiful! Exactly what we wanted. All of our family and friends are still raving about how good of a day/night they had. We hope that we get the opportunity to work with you again at some point. I am so in love with how the room turned out. It was completely magical and beyond anything I ever imagined. I can’t thank @flamingosurprise_eventstylists enough for the effort put into this! Sorry it has taken me a while to email you. I just wanted to say thank you for styling our reception venue for our Wedding back in May. The venue was simply gorgeous and we were so happy how it turned out. I absolutely loved the sheers on the ceiling. It certainly made the venue look stunning. Thank you so much. Everything was perfection and we were so happy. When I get some professional photos I will send them through. These are family photos for now. Where do I start? Firstly, thank you so much for all your set up on the day of the wedding! We walked in and I was speechless! Everything was so beautiful and you made it all come to life! Thank you for listening to all the countless emails and silly questions and for accommodating us so easily. You made the planning process super smooth and simple and we are so grateful. The whole room looked amazing and everyone complimented us on the design of the room, so a very big thank you!!! We have loved working with you and hope to again in the future!!! Thank you so much once again!! Thank you for the amazing job you did on our wedding day! We appreciate the time you took to meet with us and all the small details which made it all perfect. The Ballroom looked absolutely stunning and I was blown away with how beautifully it all came together. Everyone commented on how stunning it all looked. We cannot thank you enough and will definitely recommend you to others. I wanted to say a BIG THANK YOU for an amazingly decorated venue on our Wedding day. 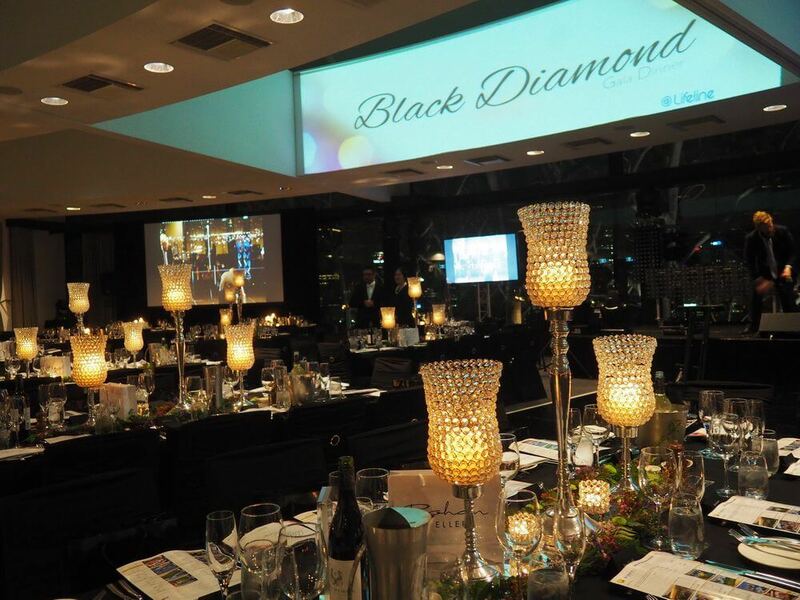 Our guests were totally blown away, and this certainly set the tone for a fantastic evening. It was a pleasure to have had the opportunity to work with you and thank you once again, my wedding day was everything I wished for. Just wanted to say a huge thank you for what you created on Saturday the room looked Amazing and was exactly what I wanted and more !!! Hope you are well Apologies for the delay in sending this email, have gotten caught up at work. We just wanted to thank you for the beautiful decorating you did at our wedding. Everything far exceeded our expectations and it was lovely you allowed us to do our own touches whilst you were trying to setup. Patty mentioned you even returned on the Saturday to double check on everything which is a true testament to your professionalism. 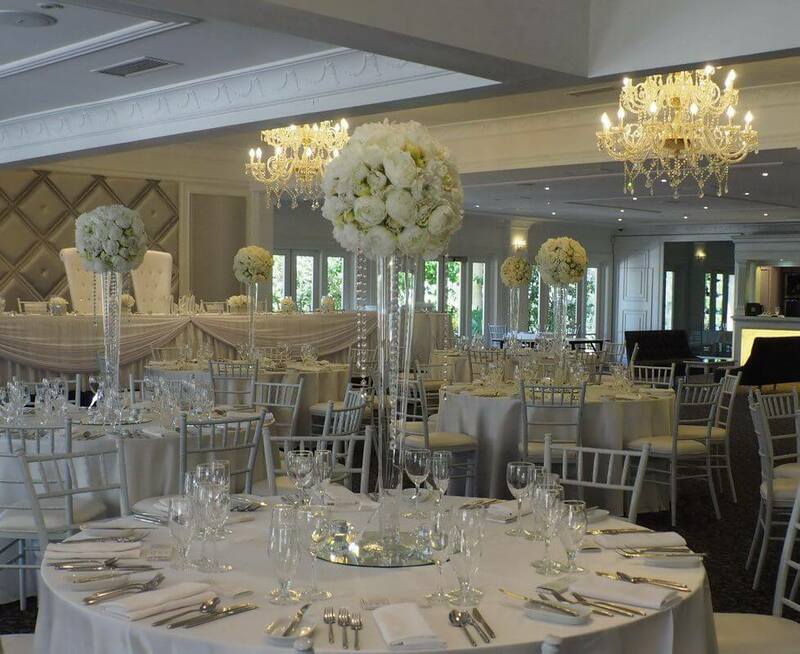 When we first met you, we had already been let down by two decorators as our wedding was not big enough, but you were more interested in ensuring our day was special and treated us with the same respect and professionalism you do of those with larger guest numbers. You have a wonderful eye for detail and everything was immaculate. Everything you promised you delivered on. Thank you again for your hard work and your genuinely kind nature. A million tank you’s to you and your team for your wonderful work in setting up our wedding. Sorry to be so slow in contacting you, we have been making the most of our time with family. We just wanted to add a quick note to our epically late wedding thank you card to say thanks again for all your help with our wedding. We genuinely appreciate everything you did for us and can’t thank you enough for being so helpful from our very first wedding planning conversation all the way to the big day itself. Thank you for being part of our wedding. It was the perfect day for us and lived up to our dream of a heartwarming night filled with awkward dancing and cupcakes. Just wanted to say a huge thank you for the setup of our reception! It was absolutely beautiful. Everything about it all was perfection. The minute I walked through those doors my smile was from ear to ear, it was all I ever dreamt for. So thank you so much for helping make all my dreams come true! My husband loved the set up and was just as happy as I was. It is a night we will never forget, everything was perfect! Thank you so much for everything you did for us, we really appreciate it! I will be recommending A Flamingo Surprise to all brides looking for the most beautiful reception set up! Carolyn, What can words say really. What a beautiful set up! It blew everyone away! Thank you for being so lovely and easy to liaise with and your attention to detail was just impeccable. Blessed to have found you to help create a reception I couldn’t even have dreamt of. Not a thing was missing or out of place and since our 1st meet, I had no concern just confidence that you would do an amazing job! You exceeded any expectations and provided more than just a service. Thank you for all your hard efforts! Looked breath taking! Thank you for everything Carolyn and team at Flamingo Surprise. You created such a beautiful room, it blew us away! Each time I met with you, you were so calming, happy and down to earth. Thank you for setting up our wedding reception, you did such an amazing job. You made our venue look like a fairy tale!! Please pass on our thanks to your team as well. Daniel and I just wanted to say thank you so much for all your efforts. The room looked exactly how I pictured it. People were raving on about the décor and haven’t stopped. It was absolutely beautiful and I can’t thank you enough. James and I cannot thank you enough for your incredible work at our wedding. We were so blown away when we entered the reception and everything was so much more beautiful than we could have ever imagined. Your attention to detail and special touch is amazing and you should be very proud of yourself and staff. Many guests have commented on how beautiful all the decorations were. From our first meeting it was so comforting to know you were just as “fussy” as I am and it made the rest of my wedding planning an absolute breeze. I had already recommended you to future bride prior to my wedding, and will continue to do so. Just wanted to say a big thank you for creating such a gorgeous atmosphere for our wedding, it was perfect – we loved everything and had so many compliments! Really loved the decal on the mirror waterfall on our table – just wanted to take it home! Hope someone managed to get a photo of it for me! Just wanted to say a MASSIVE thank you for the outstanding job you did in styling our wedding. When we walked into the room our jaws dropped! It looked absolutely sensational … It was everything we wanted and much much more! I’m pretty sure that when we look back at the video all you will see when we walked in was me going WOW, WOW, WOW!!!! Thank you for your professionalism and excellent customer service throughout the planning process and seeing it come to life in the day was just phenomenal and so surreal! Our photographer said she would be sending you some photos. We can’t thank you enough for making our day an absolute dream come true! Jeremey and I are currently sitting on a plane on our way to our honeymoon destination and thought it would be the perfect time to write you an email thanking you for the absolutely AMAZING job you did decorating for our wedding. I was blown away as soon as I walked into the reception. I can’t thank you enough for making our dream wedding come true. It was definitely like a fairy tale. I had so many compliments on the decoration of the room especially the mirror with the decal! Once again you did a beautiful job and we can’t thank you enough. You took what was in my head and made it happen.